﻿ Top On Google - 7 Golden Rules to get you to the Top On Google Search WITHOUT Investing in Pay-Per-Click Advertising! Are you Top on Google? What does it mean to be top on Google Search and how do I do it? Getting to the top on Google Search is of course something that every website owner or company aspires to. Being ranked top of Google search can bring excellent benefits and is also an accolade to be taken seriously - anyone offering you services that guarantee getting your site to rank first in Google Search results (fist place on Google) is essentially promising you the premium advertising spot in any vertical market. It is worth thinking about that for a moment. They are promising to put you in the Internet equivalent of Piccadilly Circus and that means putting you in front of the biggest players in your industry. Well what does that mean? Well it means that the biggest players will have to take a step back to accommodate you and they won't like doing that very much. They would instantly lose a significant share of their online revenue to competition that they may not even be familiar with. In light of this we should perhaps go over a few points so that all of this is put into context. So, if you wish to get to be at the top spot on Google SERP you must first decide what terms you wish to be ranking at first place for. Because of fierce competition of all of these search terms by companies offering Search Engine cOnfusion (SEO), the Google Search engine is being constantly refined and updated in order to stay ahead of these companies in what is referred to as SEO - (Search Engine Optimisation really). Optimisation is simply how those who practice SEO prefer to think of it, but to Google it is really a plague of unending problems thrown up by the SEO market, designed to corrupt their search engine, which seeks solely unbiased relevance and clarity. In other words what we expect to see when we search for a term on the Internet. The Internet is now, after all, an infinite Internet space, impossible to remember as a whole in our own human mind. The Google Search engine is, of course, essentially a massive database of the Internet stored on Google computers in warehouses spread around the world. This database is populated by information recovered by spiders' or 'robots' that essentially surf the web on our behalf. They refer the web pages (in the main part, as far as search is concerned, the text component only) back to the database which is then indexed so that it can be searched quickly by and for Internet users. SEO is the art of manipulating the Google analysis engine (the analysis algorithm that decides which pages are most relevant) to get certain pages to the Top On Google rather than the page which Google had decided was the most relevant. And so the search engines operators refine their criteria for relevance constantly, as they are forced to by those who would misuse it in the name of commerce. This is of course all good business and nothing for anyone to be ashamed of as money has always been fought over and that is not likely to change anytime soon. The conclusion? Anyone who tells you that they can get you to the top on Google for relevant search terms in your own market without a great deal of investment and hardship has either already discovered that you hypnotise field mice for a living or is not disclosing the whole truth. Our attitude to SEO is one of clarity, value of content and of humour! We also believe in getting people excited about a web resource (resource is an important term here - it is always good to be useful!) Excitement helps to get other people pushing you (posting your URLs and company name) towards the top on Google via social media. We also believe in careful and intuitive updates for your Twitter and Facebook audiences - your web pages should feel like celebrities. Once a 'buzz' has been created around a service or site then you will find your website, your business and your lively-hood traveling in a more favourable direction. Finally of course there is the matter of user trust and sometimes (and I realise this is not such a popular concept amongst many of our fellow SEOers) a good and relevant domain that allows people to feel that you have invested in your Internet identity, and that you are here to stay. This is something that search engines often overlook, but a good honest domain name often helps people choose you above the top on Google spot simply because they can make sense of the link. So how do you get started with your website rankings and climb above the websites of your competition? Make sure you have 'optimised' your website content by reviewing section titles - make sure the sections are designed to be read by, and engage the interest of a person. OK so we hear this every day on your average SEO website, but what does it actually mean? Well the search engine is a very busy little robot (yes there are loads of them really) and so it appreciates getting information in an obvious and straightforward pattern. In other words it likes headings and indexes that explain what each section is about. Once it knows what a section is about it can look at the links to that section and decide from human behaviour how relevant to the heading that the section is. So what action should you take? You should start out by reading the pages on the Google webmaster sitemap and organise your content into sections based on subject. Organise the text copy that you have into subsections based on each heading and then divide the sections up into pages. The pages should share a common theme. You can then give the page a relevant title and description so that people and search engines can find it easily and identify it as relevant. We are now on the way to appeasing the Google information ethic. Make sure that your internal links are relevant to each subsection they point to, so that readers and search engines will be able to easily navigate your site. Your internal site navigation is as important to Google as their own search results; they want the reader to be able to find the correct content within your site once the search engine has brought them there - this is after all the whole point of Google search. Remember that the most important factors regarding SEO Copy are simply clarity and engagement - keep the reader reading and everything else will follow. Engagement is the attention span draw of a website. If Google sees a new or edited site it may send that site up the SERP rankings on a popular keyword or phrase (based on that website content) for a small period of time and see how long people spend on the site or wether they bounce away within a few seconds. The amount of time for which your site holds a user's attention is an indicator of relevance to Google. They use this data instead of a computer evaluation to decide how relevant a site is. It is a better evaluation than any computer could ever derive and people are telling them for free. There is one thing that everyone agrees on and that is the aim of the Google search engine, and that aim is relevance. Relevance has been the buzzword in SEO for over 10 years and this is because if Google doesn't find you relevant content, you are going to start using another search engine. And all of this is fine, the only difference in opinion is on how Google measures relevance and which techniques effect rank the most. Our rule is simple - give as much as you can, or have time to. You will never fit everything you know into your website anyway, so people will always come back to you. The act of populating your website with as much quality content as you can is the best form of advertising; it immediately shows generosity and generates trust and validates your knowledge. The advantage of this is that when a prospect finally contacts you, they are in the perfect state of mind to do business with - ready to listen. Marketing is marketing - affiliate networks are all very well but the websites involved will only be interested in swapping links with sites that hold equal or better site rankings on Google. To get real a real leg-up on the rankings will require you to target a specific website and find someone to take out for lunch and sell to. You need to explain what you do best and offer some services in exchange for an anchor link (a link that includes your chosen keywords or key-phrase) pointing to a relevant landing page on your website. You need to get people coming to your site using traditional methods and get feedback. Scour the social networks and find out what people think. You can then update and improve until people start enjoying your content. Remember that the social networks are free market research and that the data is easily recovered simply by searching. Look across the top of the Google search results page (SERP) and what do you notice? All Maps Videos News Images More. These are the results categories that Google have detected people are currently most interested in and that get people where they need most often. This is great free information to be used to climb the SERPs. You should therefore be treating your web presence in this order. 'All' means the web in general but the others are fairly obvious. You need to be on Google maps so make sure that you have updated your Google business places and that you have started a brand for each business you run from any venue. This can all be managed under your business places Google account. It is worth getting a custom URL for Google Plus on each of these as Google plus is improving in quality all the time and is now faster and more convenient to use. Make videos on Youtube and other sites that are relevant to your key-phrases or markets and link them to your site with anchor links videos stills and then post these on Social networking. Post decent and attractive images on your site with suitably relevant filenames and titles that will link back to your site. Keep a regular blog on your site - this is linked to services like Google news and most importantly, Flipboard. These services are looking for updates linked to different areas of business to populate their newsfeeds regarding each vertical market etc. and so they are hungry for content to fill a large colection of subjects. If you are blogging on your own website it immediately gives you material to share to social media networking every day which will be a relevant anchor link to your own website. Revise your website constantly. Google want to know that your material is up-to-date and if the content is updated with sensible opinions and good value offers, you will maintain your readers' interest and keep a social network buzz going. Use the right tools to help you maintain your digital marketing and online presence. Hootsuite allows you to track all of your social networking accounts in one place and on one screen. For a small monthly fee you can coordinate Linkedin, Facebook, Twitter and Google Plus as well as many other networks. You can also keep all of your company pages on each network coordinated by having a separate stream of notifications all on the same page. If you are using Google Chrome you can download the Hootlet which will enable you to easily post to your chosen network without needing to copy and paste links etc. More details can be found on our social networking post. You can also look at Flipboard and similar websites which can offer categorised news snippets for your chosen subjects that can be useful to fill blogs when you do not have a lot of time. If you have chosen subjects relevant to your line of business you can easily port articles to your social networking pages. Who have we gotten to the top of Google and how? E-commerce sites are the most straight forward and direct route to recovering money from website investment. Being top on Google is a must! Your website needs to be able to respond to requests that search terms and search engines make of it in order to keep you ahead of the competition. If you are handling purchases direct rather than through an E-commerce payment partner you need for your certificates and encryption to be up-to-date. TopOnGoogle is a two person outfit and believes SEO and social networking tools and groups are vital to help their clients excel on the Internet. sircles.net is incorporated at Companies House in the UK and begins trading as a computer solutions consultant for businesses in London and Berkshire. Specialist data recovery experts take up the sircles mantle and begin trading with various IPs in the City of London to expand our ever growing services portfolio. Top On Google begins building bootstrap template based websites engineered to climb the Google rankings using social networking and SEO and ensuring clients get noticed! Come and meet with our amazing team. Our team and their huge understanding of working with every type of lead, whether it be in generation, development or general consumption, have allowed us to become TopOnGoogle.com! 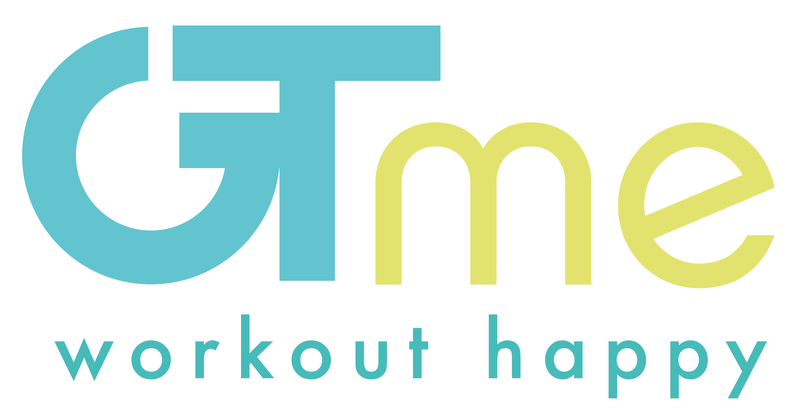 Launching a world-wide personal trainer app. Working alongside some local marketing partners we managed to get a group of likeminded individuals together to promote this app which is being released simultaneously in Poland, Australia and the U.K! Want to climb to the TopOnGoogle? You can contact us on the Contact Us page, or you can call (0844) 880 1618 here. A website re-design for a financial partner in The City. InsolvencyIT is a website designed for financial professionals who require data recovery and analysis to assist them in recovering funds on cases connected to insolvency and fraud. You can preview InsolvencyIT.co.uk Here: Data Recovery. A commercial website built from scratch in VB.net. InsolvencyIT wanted a website that could explain all of their services that was separate from their normal landing page style website showing their Insolvency Computer Solutions. This website was contructed from Microsoft .net ASP technologies and was designed to offer a lot of different content in one place. You can preview the completed website here at: Insolvency Practitioners Computer Solutions. This website, designed for our domain broker partners has been constructed to maintain all the previous website links The UK Domain Brokers. This website integrates all of their E-commerce sites as well as their online domain brokerage and computer consultancy services. You can preview the website and all of its features at: UK Domain Brokerage. The strategy and business development consultancy with a specific focus on emerging markets.. This website brief was one of style and impact AJJ Capital. was obviously a website aimed at large enterprise investing in the Middle East and the Asian Pacific and so the website needed to reflect the scope and capability of their company. You can have a look at the finished product here: AJJ Capital. A new start-up in the financial services market. Finance Gems provide bespoke accountancy services Finance Gems. This website was developed using the bootstrap services and optimised by TopOnGoogle.com in order to climb the Google ranking ladder. You can view the website here: FinanceGems.com.